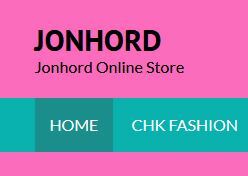 Jonhord is seeking to recruit Professional Tailors and Seamstress. Do you have at least 3 years of experience with sewing men and women clothing? If so, we'd love to talk! At Jonhord we help our client look elegant for work, parties and special events. This position supports the sewing of women dresses and men's clothing for our clients. We look for candidates who can work with speed, precision and attention to detail. This position is remote. Candidates will be working from their homes or shop and receive period sewing request with details and measurement from Jonhord. • own or have access to machines/tools required to completely perform the work. • be able to complete the assigned task within 1 or 2 days. • have at least completed Senior High School (tertiary graduates are encouraged to apply).